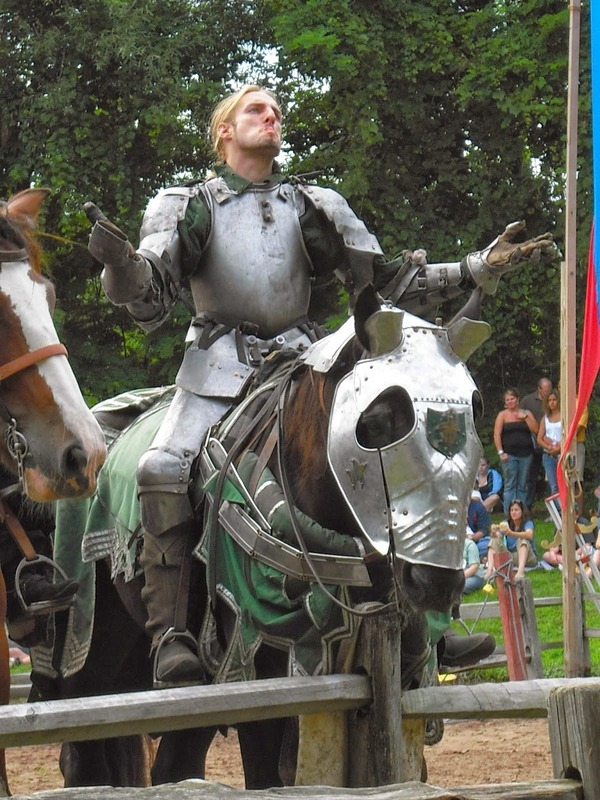 Sitting at a roleplaying table and rolling dice is the closest many of us get to strapping on a suit of armor and entering life-threatening combat with medieval weaponry. A lot of gamers will pick up foam weapons and play at being heroes in a LARP setting, and sometimes they pick up a few genuine skills in the endeavor. Some may even get up the cojones to join the SCA or another re-enactment group and compete in armored combat, but by and large these organizations always put fighter safety first. This means that weapons tend to be rattan or some other form of blunted material, the pace is meant to be less than full-speed, and there's a laundry list of maneuvers that simply are not allowed on the field. More often than not modern Western martial arts organizations are interested in history and fantasy, but not in leaving participants bloody and broken on the battlefield. No this is not a joke, or some illegal thing that only happens in the boondocks; that is a promo video for a Polish Knight Fighting League. It is a place where men put on full plate and helms, pick up blunted swords, axes, and polearms, then proceed to get medieval on each other until there's only one man left standing. Gauntlet punches, elbow and knee strikes, helmeted head butts, shield bashes and full-out bull rushes are all allowed, and judging from the crowd's reaction quite encouraged. As with any sporting event combat is judged by referees. Landed blows count to determine the winner based on form, but knock outs are understandably common (there's a beautiful shot or two in the promo that shows what happens when a mace is applied to a helmet at around mach 2). In many ways it's like MMA or boxing... except worlds cooler. These events are understandably popular in Europe, but they have them in America too. There's also international leagues, for those who want to travel to the birthplaces of the knight and try to throw down heavy metal style in places where castles and banners are not that far in the past. If you want more information these leagues have been featured both on Cracked (in this article here), and on i09 (in this post). To check out one of the American leagues, go to this link. As always, thanks for stopping by Improved Initiative's Moon Pope Monday feature! If you've got ideas, suggestions, or comments then please feel free to leave them right here! If you'd like to keep up with everything that shows up on Improved Initiative then by all means follow me on Facebook and Tumblr, or just plug your email into the box on your top right. If you'd like to keep the blog going so I can keep bringing you great content then share the posts, come back often, leave a tip in the jar by clicking the "Bribe the DM" button on the upper right, or stop in at my Patreon page to become a patron today!